Illinois Concealed Training offers the best and safest firearm training in the Chicago land area. Our Instructors are approved by the Illinois State Police and Certified by the National Rifle Association of America. Our courses are specifically designed in teaching our students the proper and safe way in operating a firearm. All of our courses include the following..
NRA New Shooter Seminar is designed to provided a hands-on introduction to the safe handling and proper orientation to one specific pistol action type for classes of four or fewer students. This course is approximately two hours of classroom time only. Students will learn the NRA rules for gun handling; the particular pistol model parts and operation; ammunition; shooting fundamentals; cleaning the pistol and continued opportunities for skill development. from a distance of 10 yards at a B-27 silhouette target approved by the Illinois State Police. Illinois Concealed Training offers the required 16 hour class for the Illinois Concealed Carry License. This class will consist of classroom and range times. The required range qualifications are a must in order to achieve certification and begin the application process with the State of Illinois Police. Firearms are allowed only on the second day (range time only) all weapons must be secured and unloaded. No ammunition is allowed in the class room under any circumstances. Please contact us for further information and requirements. If you would like assistance in filling out your electronic application online, you may schedule an appointment with us and we will assist you in doing so. During that time, our associate will enter your information, take your digital photo, scan your certificate, and enter your payment method online for you. A service fee of $25 will apply. 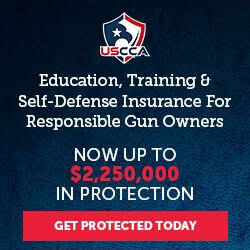 Illinois Concealed Training Inc. is a Chicago land based training center. Our Instructors are Certified by the National Rifle Association of America. That means we are properly trained in orchestrating and explaining in great detail the fundamentals in the use of a firearm. We take pride in what we do conducting our classes in the most professional and courteous manner. Our Classes are designed and executed properly. We strongly believe that every student should interact in order to achieve the best results. While participating in one of our classes, we will demonstrate in great detail while having students perform exercises to obtain a hands-on training. After completing one of our classes, we believe our students will comprehend and preform what they have learned in class and continue to develop their skills. Register today for our next class! Please let us know what class you would like to attend. All of our classes will require registration to accommodate proper seating. Concealed Carry Class fee includes classroom materials, ammunition (30 rounds) pistol usage,eye and ear protection, targets, range fees and certification. (no hidden fees) GIFT CERTIFICATES ARE AVAILABLE. Finger printing on site upon request. Illinois Concealed Carry Class prices subject to change without notice. Scheduled classes can be rescheduled depending on the student attendance. Friend or follow us on Facebook ! 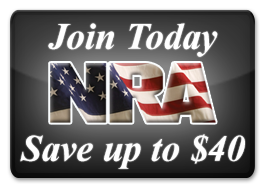 Next Illinois Concealed Carry Classes $99 all inclusive sale! Prices are subject to change any anytime without notice! Copyright © 2019 Illinois Concealed Training Inc.